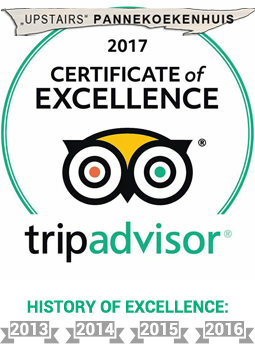 Upstairs Pancakes receives Certificate of Excellence for fifth time in a row! Tripadvisor is a website where you can find several reviews about sight seeing spots, restaurants and hotels. This week we we’re honered to receive the Certificate of Excellence from Tripadvisor again.